Summertime: The quintessence of casualty, the epitome of ease. The feeling of summer is truly like no other; there is nothing quite as satisfying as a warm summer’s day or a breezy summer’s eve. To find the perfect “soundtrack of summer” is oft a difficult venture; nothing ever really feels wholly synonymous with these feelings. 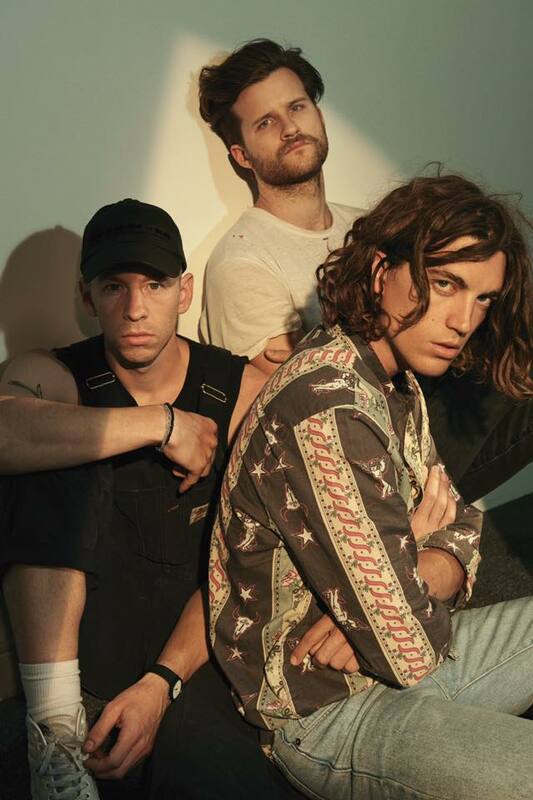 LA-based trio (and definitive Atwood Magazine favorite) LANY are out to prove that they are exactly what you’re looking for with their latest EP release, kinda (Polydor). When Atwood Magazine chatted with the group back in March, they eluded that they were working on new material, saying that they would be working on releasing new music throughout the year. And, with this new release, they certainly did not disappoint. kinda, released on June 24th, feels fundamentally “LANY.” The EP includes the group’s trademark sound of dreamy instrumentals coupled with Paul Klein’s distinct vocals — a pairing that has proved successful thus far. LANY is your ultimate beach band. The EP opens with the bouncy, upbeat “like you lots,” an open love letter that essentially sums up summer love. At first glance, the phrase “like you lots” may seem childish and somewhat meaningless. But then this problem arises: how does one label the in between stages of a relationship, after initial attraction and before being in love? “like you lots” is the anthem of this liminal stage, often the basis of summer flings. Third comes “pink skies,” another California-inspired love letter wherein Paul Klein croons, “Get ya under pink skies I know exactly where we should go / ‘cause I love the way your green eyes mix with that Malibu indigo.” She is his favorite everything, and the prospective listener can’t help but fall in love too. The song is characteristically LANY through and through, as Jake Goss’ inspired drumming and Les Priest’s synth grooves blend with Klein’s mixed range of high and low vocals. The subsequent track, “current location,” is slower than its predecessor, and ultimately feels comparable to the longing found within “yea, babe, no way.” This dreamy track finds Paul Klein trying to save a relationship being threatened by unexpected distance. The lyrics, while simple: “I need my current location to be your current location,” are full of longing and romance. The track wholly thrives on simplicity, allowing for its sentiment to shine through. It gives its listener the opportunity to attach individualized meaning to what is being said; anyone’s own personal experience can ultimately be attached to the song’s overall story. All anyone really has is the present; time must not be wasted worrying about the past or the future. This sentiment is reinforced by the overarching summer vibe. The short summer months are always gone too soon, “quit” encourages the listener to embrace them while they can. Finally, the EP closes with the group’s single “WHERE THE HELL ARE MY FRIENDS,” which was first released in March of this year. “WTHAMF,” as it’s commonly known online, grapples with the most modernly millennial problem today: FOMO – the fear of missing out. While it can be easy to get lost in the track’s upbeat, bubbly sounds, this song takes on some large, universal problems such as loneliness, belonging, and community. 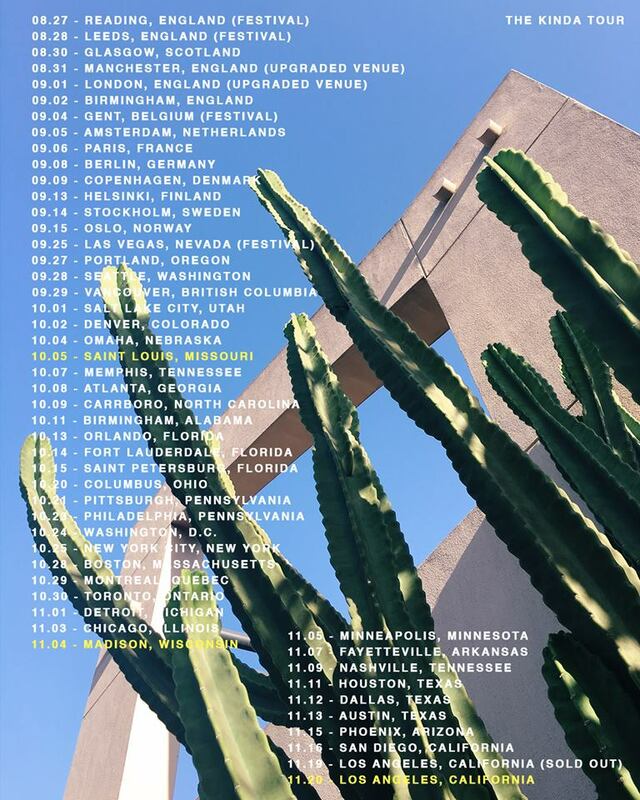 At surface level, the song seems to address the obstacles of moving to a big city–specifically Los Angeles–but a closer listen reveals many more dilemmas that will be relatable to all living in the “internet generation.” While our generation today is easily the most accessible, it is also arguably the most isolated, which Paul Klein eloquently explained in an op-ed for Huffington Post. Overall, the kinda EP is all about being real. LANY is not interested in hiding behind complex metaphors or saying things that they do not mean. These songs are honest, real life conversations that make the band feel both accessible and relatable. There is something so quintessentially human about their music–one of the many reasons this up-and-coming band has found so much success in such a short amount of time. Set to embark on their biggest tour to date this upcoming fall, the group’s exponential rise to success has been nothing short of inspiring and incredible. It’s only a matter of time before all we’ll kinda want to do is listen to LANY.